Hakuouki SSL: Saito Hajime | It's a wonderful world! It doesn’t have a decent plot, but this is a really cute route filled with cute scenarios! Here’s a detailed summary of events that happen exclusively in Saito Hajime’s route. My review for this route is at the latter part of the post. Saito is a second-year student in Hakuou Gakuen. Aside from being in the kendo club, he is also a devoted member of the disciplinary committee and he is very strict in implementing the school rules… although he isn’t quite good in talking to people. The day before the exams, Chizuru goes to the library to study, but it’s already crowded with students, she decides to go home, when she sees Saito in the corridor who tells her that he knows a quiet place to study. 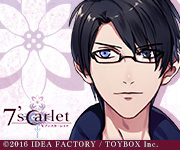 Saito brings Chizuru to the science laboratory room, which is also the meeting room of the disciplinary committee. They study in silence, until Chizuru’s eraser rolls… and they both reach for it at the same time… and we have that CG (≖ω≖｡)♪. Awkwardness ensues, and Saito, as awkward as ever, says that it must have been better if he hadn’t invited Chizuru because he’s worried that he must caused her uneasiness.. but uh, yeah, that’s it ┐(‘～`；)┌. They studied until the sun sets. When the exam results were posted, Chizuru goes to the laboratory to thank Saito, because Chizuru says that she was thinking of the study time she had together with him as she was taking the exam. To thank Saito, Chizuru offers to buy them some refreshments. At the pool, Saito and Chizuru won the water gun fight so they got free tickets to the poolside bar. Chizuru says that the place is really nice… it really is nice… with all the couples around them and she’s with Saito… er lol another awkward situation XD. Chizuru notices that Saito’s face is getting red, and she asks him about it. Saito answers that they shouldn’t be mistaken because they’re seated in front of each other… and to this, Chizuru says, “well what about we seat beside each other instead?” and Saito’s like “whaaaaaat? If we do then our shoulders will brush against each other! !” HAHAHAHA Saito-senpai XD. At that moment, they hear a troubled girl shaking off the advances of a nanpa otoko. The nanpa doesn’t seem to want to give up though, and he continues to pick on the girl… until Saito stands up, takes some rubber boat oars, and used the oar to hit the man on the head! Saito lectures the man, and tells him that he’ll be glad to give him another beating if he continues to hit on the girl. Seeing that he has no chance on winning against Saito, the nanpa runs away from the scene, and the other people who witnessed the scene, clapped their hands for Saito’s bravery *\(^o^)/*. When Saito sits back, Chizuru comments that Saito-senpai is soooo cool, because if it’s her, then she won’t be able to anything. At this, Saito says that as a guy, it’s his duty to protect her, so Chizuru need not to worry if he’s by her side (๑´ლ`๑). While their class is preparing for the cultural festival, Chizuru decides to take a look at how the other classes are doing in the other classrooms. In one room, she sees class 2-2, Yamazaki, Saito, and Nagakura-sensei, who are busy turning their classroom into a haunted house. They see Chizuru, and they invite her to see the haunted house when it’s ready, and Chizuru says that she’ll surely drop by during the school festival. At this, Yamazaki asks her what she thinks is the most important thing to have for a successful cultural festival. Chizuru answers that she thinks that watching over the public morals is the most important, and Saito agrees with this. He adds that he will also do his rounds as disciplinary committee member on the day of the cultural fest to ensure order. 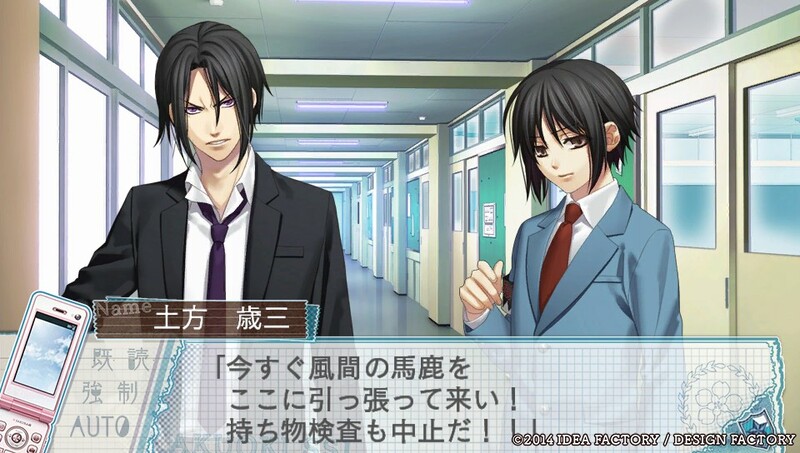 Chizuru comments that Saito must be busy, since he also have to watch over their class haunted house, but Saito says that he’ll just have to switch between the two duties on his break times so Chizuru shouldn’t worry about him ┐(‘～`；)┌. During the school festival, while Chizuru is very busy working in their maid cafe, Saito comes to see their class booth… and he’s frozen to his place the moment he sees Chizuru in a maid outfit! Saito asks if a maid cafe actually has people in maid outfits serving costumers, and Chizuru, in her mind, was like, “well duh it’s called ‘Maid Cafe’ for that reason” XD. Chizuru even wants to point out that there’s actually a sign at the door with 「メイド (さんもいる) カフェ」(“Maid Cafe –with a maid–“) lol, but Saito’s blushing like a tomato and Chizuru kind of caught his shyness too, so they stay awkward like that until Ryunosuke tells them off because they’re blocking the door lol XD. Anyways, after serving a stampede of customers, Chizuru finally got to serve Saito his order, and he invites her to see his class and go around the festival together (≖ω≖｡)♪. A little later, Ryunosuke finally allows Chizuru to take a short break, and because she doesn’t have enough time, Chizuru decides to not change off from her maid costume. In front of class 2-2’s haunted house, they see Yamazaki, who also urges Chizuru to enter their class booth. Chizuru agrees, and Saito will go with her, so Yamazaki gives her the house rules. It seems that they’ll see an altar inside, and when they reach that goal, they will be given a photo as a reward. Inside, Chizuru admires at how well-done the haunted house is, and Saito admits that it’s his first time entering since its completion. As they are talking however, the black lights suddenly goes out, and Saito says he didn’t hear that there’s an act like that, so something must have happened with the maintenance team. He tells Chizuru to just stay where she is, but another panicking guest bumps into Chizuru, and she looses her balance… but Saito is quick to react so he stops her from flopping to the ground… and the lights come back… and we have that CG below! They stay like that, awkward lol, for a while, until they hear Yamazaki explaining the situation to the haunted house guests and asking if there are any injured people. Before a worried Yamazaki goes to see them, Saito and Chizuru immediately stand up. Saito tells Chizuru to just forget what happened, but Chizuru thinks that there’s no way she can’t forget such a close encounter with Saito-senpai lol XD. Later, they go around the campus to see every booth of the school festival. During the party, Chizuru goes to get some drinks. There she sees Saito-senpai, and she offers to fill his glass with a second helping. A few distance away, they hear Serizawa and Kazama talking. 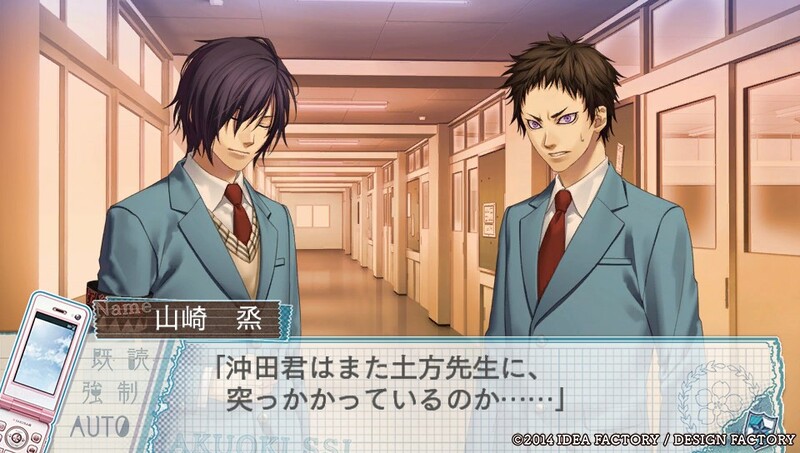 It seems that Kazama was also the student council president last year, and Serizawa asks why it is so. Being his arrogant self, Kazama answers that it’s natural since the student council president is always the most popular guy, and that person is none other than him XD. Chizuru asks Saito about it, but he recommends that she should just stay out of that matter. After the party, Saito walks Chizuru home… and as expected from Saito, they walk in awkward silence… and they finally reach Chizuru’s house. Saito tells her to get herself warm, sleep early, and… Chizuru’s about to go inside her house, but when she looked back at Saito, it seems that he still has one important thing to say (and he looks troubled at how he’ll say it *sigh*), so Chizuru asks him about it. It turns out that he actually has a Christmas present for her — a crystal charm with two cats huddling together! 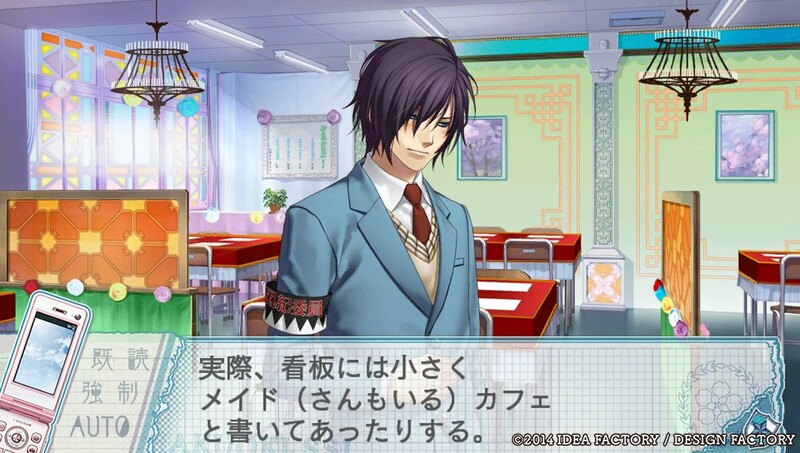 Saito says that he wasn’t sure what girls want, so he’s glad that Chizuru likes it (๑´ლ`๑). Chizuru also notices that the gift is actually two charms and you can detach the two cats so she offered to give one to Saito. Chizuru says that they should put the charms in their bags… and then finally they realize that it’s like a couple charm and they both go ⁄(⁄ ⁄•⁄ω⁄•⁄ ⁄)⁄ lol XD. Later, they promise that they’ll go to for Hatsumoude together. On Christmas eve, Saito fetches Chizuru from her house for Ninenmairi. On the way to the shrine, they talk about how weird it is to be out on the streets in the middle of the night, but Saito says it’s a special day so, uh, yeah. At the shrine, a lot of people are also doing their shrine visit (and Saito was like, “I didn’t think that there will be this much people…”), and Chizuru sees Heisuke and Souji from afar. She was about to go and greet them, but Saito stops her… ?! In the end, Chizuru lost sight of Heisuke and Souji, and Saito finally got to sigh in relief. Later, they go around the shrine grounds, but Saito is still worried (that people they know will see him together with Chizuru… I think?). After going around once, the joyanokane starts, and Chizuru and Saito reminisce about the past year. Regarding Story 01, Saito says that they should study together again some time. Regarding Story 02, Saito says that if ever the damsel in distress was Chizuru, he’ll definitely give the nanpa more beating than what he did back during the summer lol xD. Regarding Story 03, Saito says that… Ryunosuke actually planned on selling photos of Chizuru in maid outfit, and hearing this Chizuru was like, “whaaaaaat?? ?” (lol me too xD), but Saito assures her that the disciplinary committee already confiscated and deleted the photo data. Saito adds that the photos were very well taken though (because Ryunosuke has the talent while Chizuru is pretty XD). It was also revealed that Saito also participated in their class’ haunted mansion, and his role was a soldier ghost. Regarding story 04, about the cat charms, Chizuru asks if those two cats are siblings. Saito says that they may be siblings, but if not, then surely they are husband and wife. Chizuru says that if the cats are husband and wife, then Saito got the husband while she got the wife… and hearing this, Saito was like, “!!!”. Chizuru immediately corrects him though, and says that it’s the cats that are husband and wife! XD Anyways, Chizuru says that whenever she looks at the charm, she feels that Saito is watching over her so feels relaxed. A little later, Saito’s cellphone rings, and it’s Kaoru, who was like, “Saito!! Is it true that you’re with Chizuru at the moment?? I’m going there now—-” LOL XD. At this, Saito says that the signal is bad and immediately cuts the call LOLOLOL XD. Chizuru asks if it’s okay to end the call like, and Saito goes, “At a special time like this, lots of people are exchanging mails and calls so the phone signal will naturally go bad so don’t worry” XD. Anyways. They soon decided to fall in line for the shrine visit, and Chizuru’s feeling cold (she didn’t put on more layers of clothes because she wanted to look cute). To keep her warm, since he brought a pocket heater, Saito puts his hands on Chizuru’s face (CG below), and Chizuru’s like ⁄(⁄ ⁄•⁄_ ⁄•⁄ ⁄)⁄. 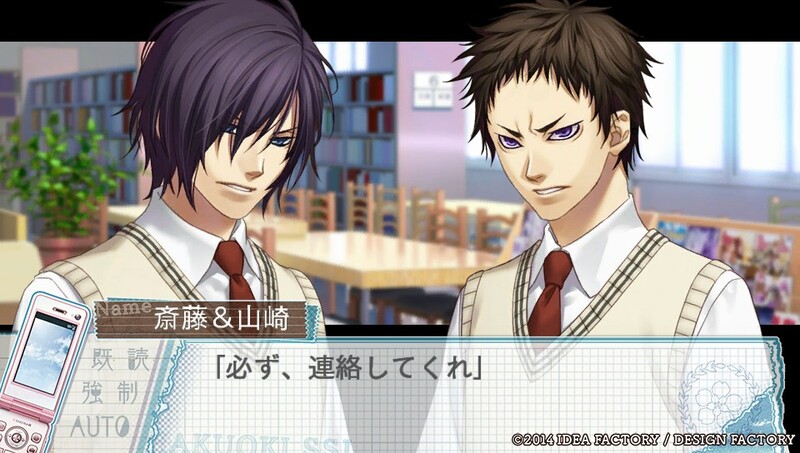 They continue on like that, until Chizuru goes, “This is… embarassing \(//_//)\” and Saito finally notices what he’s doing XD. Saito’s like, “I-I have no ill-intentions or anything!” lol I know, Saito XD. Anyways, they talk about what they’re going to wish for New Year’s, and Saito goes on saying a list of his wishes one after another. Chizuru just laughed at it, saying that it’ll be tough to have all those wishes granted, but Saito suddenly became so serious and started murmuring vague things about some answer to his feelings, and going to Hatsumoude together with Chizuru while avoiding the other people they know, and other crap I had trouble understanding (dammit Saito why so vague o_O). Chizuru never got an explanation to those things Saito said though, as the people around them started to cheer because it’s finally the new year. In the end, Saito says that Chizuru shouldn’t worry about the crap he just said, and he’ll just explain them further when the right time comes. One day before Valentine’s Day, as she’s on her way to their homeroom. Chizuru notices that the attention the other students is giving her has declined compared to the first few days of February, and she wonders if it’s because of that new ‘no bringing of chocolates to school’ regulation. Despite the regulation though, Chizuru still wanted to give her chocolates to Saito-senpai on the exact day of Valentine’s, but she have to think of how to hand it to him. When she arrives at their classroom, she witnesses some haughty disciplinary committee members confiscating Ryunosuke’s bread crust despite his protests that the bread crust isn’t an in-between snack for him — it’s his lunch for goodness sake! As it turns out, the disciplinary committee has been confiscating stuff here and there, even little “snacks” like pudding and cough drops! (seriously? They’re also confiscating cough drops??) And other than confiscating stuff, they’re also deducting points that if accumulated, will have you do some forced service for the student council (er, student council? I thought disciplinary committee adviser Hijikata is in bad terms with student council president Kazama?). Because Chizuru thinks that what the actions of the disciplinary committee is inhumane (lol XD), and the cause of all this is Kaoru’s siscon love for her, Chizuru decides to confront them bastards and she heads to their base (the laboratory XD). There she sees only Saito, and she asks him about the super strict implementation of the new school rule. Saito replies that rules are rules, so everyone has to abide by it, although he still questions the point deductions if they catch you carrying a prohibited item, especially with chocolates. It turns out that the committee decided to deduct one point if you’re carrying snacks, two points if games, and… ten points if chocolates! 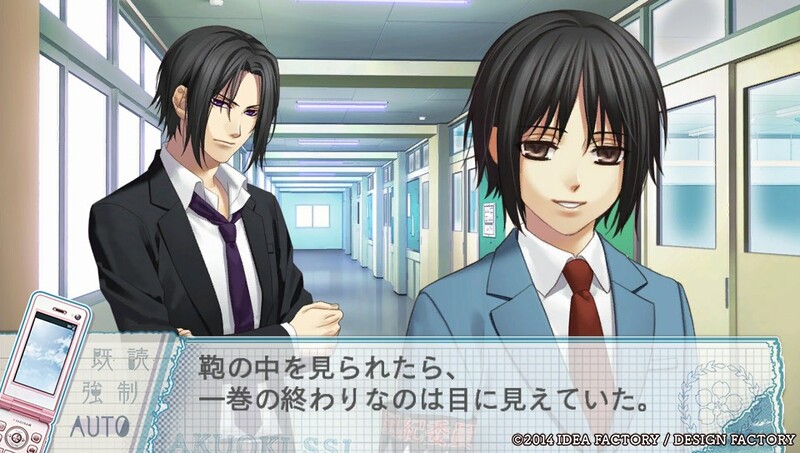 Saito also adds that there’s no doubt that the rules are obviously aimed to ruin Chizuru’s Valentine’s Day, and Chizuru agrees that the disciplinary committee really have gone too far with their rules, because if they want her, then they shouldn’t involve the other students too. Saito promises that he’ll talk to the root of all evil Kaoru regarding this matter, since he says that of course it’ll be sad if Chizuru can’t bring her chocolates on Valentine’s Day! Hearing this, Chizuru was like, “? !”, and she asks Saito the meaning of that last line. Serious Saito’s already going, “About your chocolates, I…”, but at that moment, Kaoru enters the room, and asadhsfjksfdk Saito’s confession is cut wtfgjajdhajdhaj! Anyways, Saito talks to Kaoru about the unjustness of the new rule, but to this, Kaoru just replies with, “Hijikita-sensei approved of this rule. Are you going against Hijikata-sensei now, Saito?”, and Saito never got a comeback after. In the end, Kaoru still got his way, and implementation of the rule will remain as it is. Saito just graduated from Hakuou Gakuen, and Chizuru’s on her way to their first date outside the school. It turns out that when they started going out, Saito said that they should do dates in moderation because they’re just students (typical of Saito…), so for the past year, though they did spend time together, it wasn’t, uh, that much… ? So anyway, it’s March 14, and Chizuru and Saito agreed to meet in front of the station. For this date, Saito says that he wanted to show Chizuru something but it’s too early for it, so they go around the shops first. While at it, they talk about… stuff lol. It seems that during his three years in Hakuou Gakuen, Saito has been a really good student, and he also won overall during the kendo tournament, even beating Heisuke and Souji, so he got a recommendation to a good university. At the pool, Hijikata approaches Saito and talks to him about the commotion in the poolside bar. Hijikata comments that what Saito did was, uh, not so Saito-ish since Saito is a quiet person and he hadn’t expected him to do something flashy, though Hijikata praises him for what he did. Uh yeah. Saito and Yamazaki run into each other in the streets. Yamazaki mentions the unexpected power outrage, and, thinking about what happened inside the haunted mansion with Chizuru, Saito goes ⁄(⁄ ⁄•⁄ω⁄•⁄ ⁄)⁄. Saito and Kondo are cleaning the classroom windows, and uh, Kondo says that if there will ever be a major school clean-up, he will surely participate, even though he’s the school principal. Kondo adds that his students are doing their best, especially Saito and Chizuru’s helping during the party decorations, so there’s no reason why he wouldn’t participate in the clean-up. So anyways, when Kondo leaves, Saito tells himself that Chizuru is the reason why he’s doing his best this year. That was another route without a decent plot wow. I honestly don’t know wtf is going on in Saito’s route lol XD. They just threw in random fluffy scenarios, and, uh… that’s it. I don’t even know what the main theme is! I think it has something to do with… Saito being a model student and stuff… ?? Ah screw that, at least in Souji’s route, I have at least an idea as to what the writers want the plot to be, but in this route…… er, plot? Can I eat that? I really wanted to compare Saito’s route with Souji’s because both have this lack of plot business going on, but I say that Saito’s route is way, way, way better than Souji’s! They made the best out of Saito’s personality by making him this really serious but easily goes awkward guy and I find it really cute! ♥♥ . And because of that, his scenarios always make me go (๑´ლ`๑) whenever he blushes. Again, the romance development is ???. I don’t really know how in the world Saito fell in love with Chizuru. 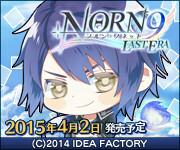 But yeah, after going through five routes of fast romance development, I don’t really care about it anymore lmao XD. 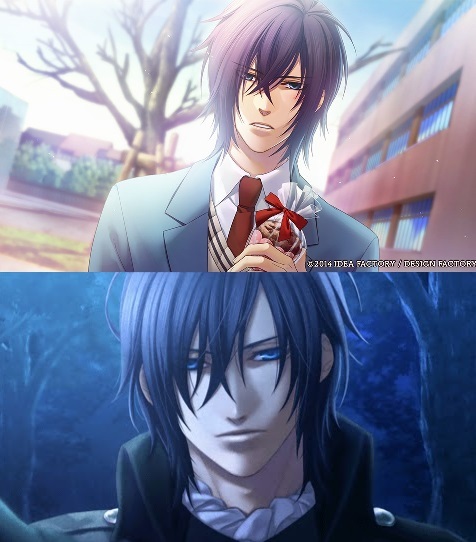 The good thing is, Saito has a good kiss CG! 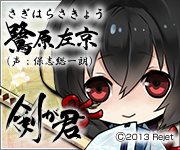 I was thinking that they won’t give him one, but it turns out that he has the best among the kiss CGs in this game. And…… I’m done with the six main guys! I’ll be playing through the extra routes next! This is such a great summary, thank you!